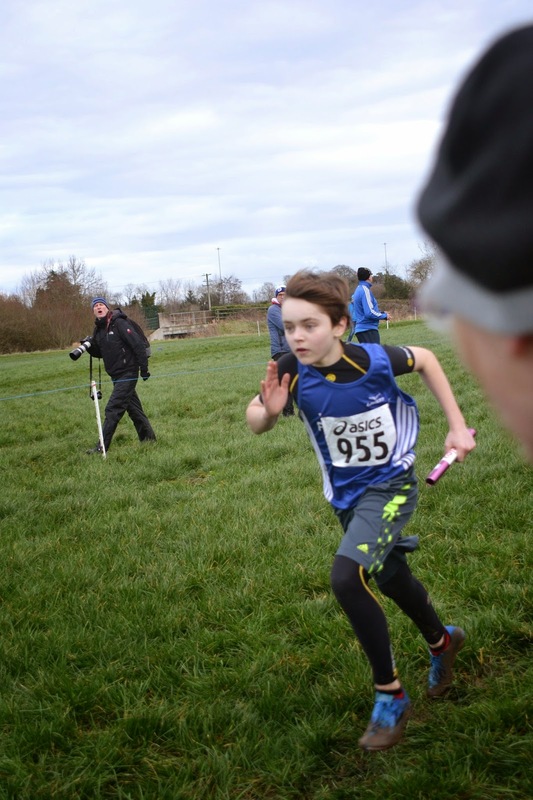 First up were the juvenile relays. 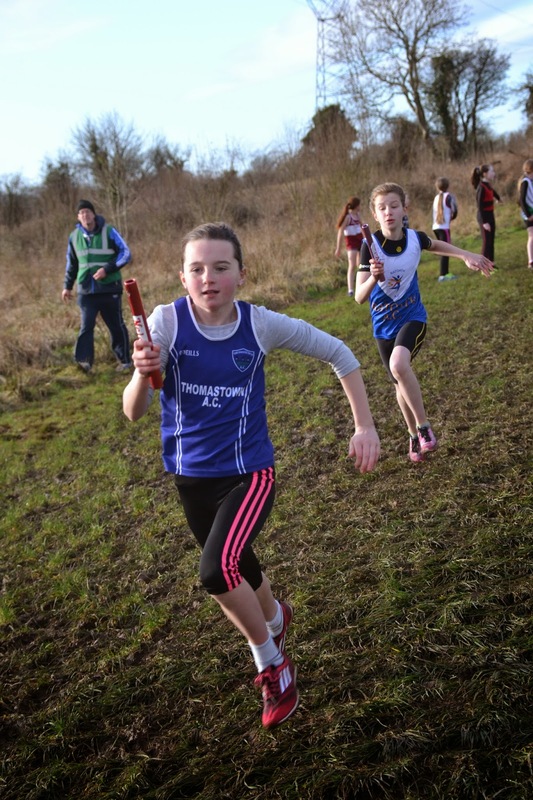 Our u 12 squad of Aimee Doherty, Sophie Quinn, Ealbha Toole and Laura Kelly almost retained the title Ratoath won last year with another superb run, only being pipped on the line by Thomastown a/c after an enthralling battle from start to finsh. Our under 12 boys quartet of Kyle Witter, Harry O Connor, Eoin Kane and Jamie Fewer were equally impressive and were only pushed out of the medals in the later stages when finishing a close 5th. Adam Quinn, Matthew Buckley, Tom Kilgannon and Oisin Kelly combined to put in a great team effort in the u 14 boys but were edged out of third by Mullingar Hrs in the very last stride. 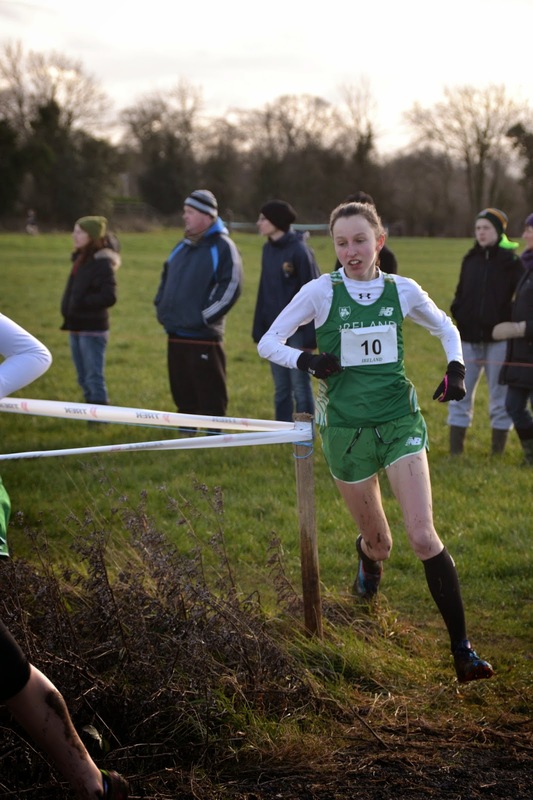 Deirdre Healy, wearing the green of Ireland, was 6th in the junior womens Celtic international and led the Irish team home where they finished second to a very strong Scotland squad. Spearheaded by Deirdre and Aine O Connor, Niamh Gannon, Kate Byrne, Aoife Reynolds and Jennifer Bradley did the club proud when taking the team club bronze. It was great to see a Ratoath Junior womens team competing in a Leinster championship for the first time since Peter Doherty was a boy. Philip Marron rounded off a good day with a 12th place finish in the Leinster Junior mens race and helped Meath capture the team county title.